Home / Leitz Tabletop Tripod. 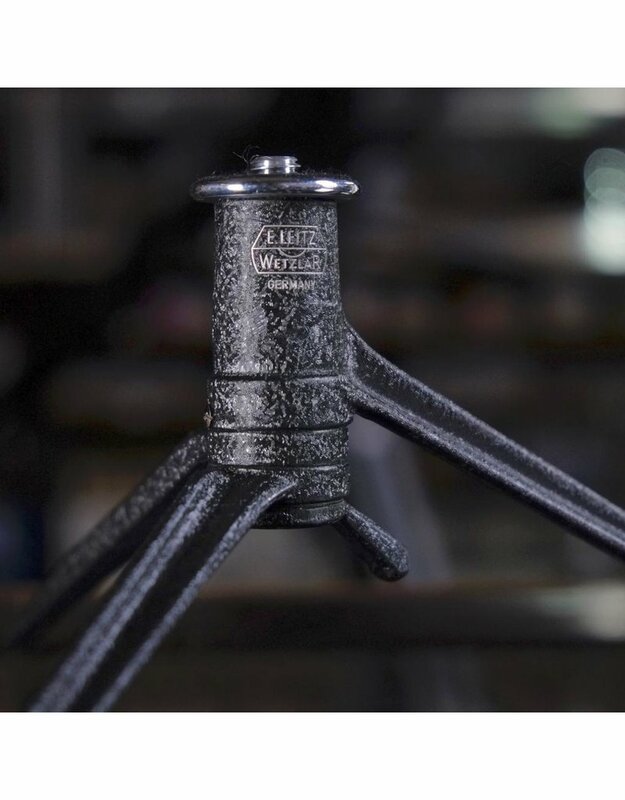 An earlier Leitz Wetzlar Tabletop Tripod in a black crinkle-paint finish. In excellent condition overall, with a few minor paint marks. 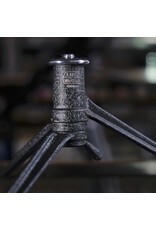 This is a sturdy all-metal tripod with a 3/8" threaded fitting for head or compatible camera (though most modern cameras are the smaller 1/4" size). Folds (more or less) flat.